Sometimes, we don’t know that we’re an artist until the opportunity presents itself. That’s how it happened for longtime carpenter, Frederick Knight of Cartersville, Georgia. It wasn’t until he threw in the towel and ended his building material business that he realized his true calling of making furniture. It all began when an old cotton mill adjacent to his property was being torn down. Frederick knew this was an incredible opportunity and quickly bought and salvaged thousands of pieces of Georgia heart pine wood. Frederick's first thought was to use the wood as flooring, which he started to do but without much fanfare. Then he got a phone call. Restaurateur and esteemed chef, Anne Quatrano asked Frederick to make a custom sized farm table of her design. She wanted the table for one of my favorite places in Atlanta, the divinely designed retail and café space, Star Provisions. 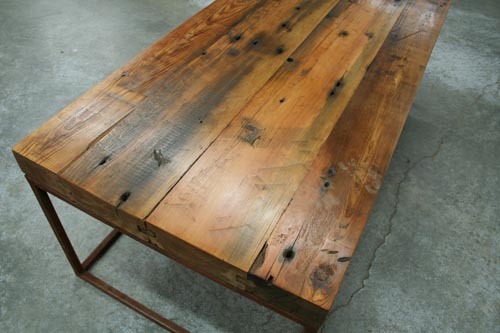 That one farm table ignited Frederick’s passion to create custom furniture. I traveled with my sister to Frederick's studio in early spring. A big fan of carpentry, she was in heaven walking around the warehouse, asking a million questions while I took my time focusing on what to photograph in his enormous 35,000 square foot work space. Frederick, an imposing, teddy bear of a guy, will be the first to tell you that his pieces aren’t fine woodworking but more on the rough side. He relishes the imperfections, the nail and bolt holes that each piece of Georgia heart pine offers as well as its bold character and warmth. 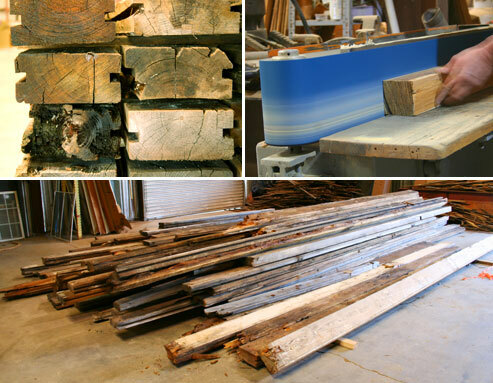 With enough salvaged wood stockpiled to craft over 6000 pieces, Frederick is busy as a bee (but a relaxed, content, often humorous bee) making custom tables, benches and bookshelves. His reclaimed, industrial chic style is certainly in trend with the times and who doesn’t love something handcrafted that’s also durable, one of a kind and stylish? If I could, I'd buy one of everything for me and my sister...To learn more of Frederick’s work or to order your own custom piece, visit his website here.